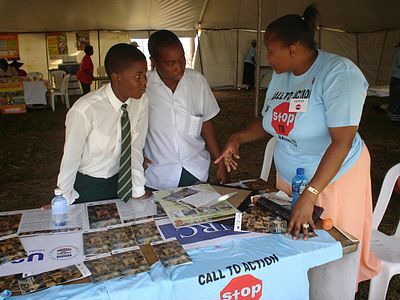 Zimbabwe’s National Aids Council(NAC) has revealed that despite the progress it has made in fighting against HIV/AIDS, rates of new infections remain high among young women especially adolescent girls. In a statement NAC Vice Chairperson Mrs V. Samkange said, “Significant gains were made in response to HIV during the year under review. The response number of new infections and AIDS-related deaths declined by 5819 and 1 667 respectively. Despite the progress made, rates of new infections remain high particularly among adolescent girls and young women. “the number of patients who have been put on treatment the 1.1 million mark which is an increase from 690 000 in 2016” he added. NAC therefore calls for stakeholders to plan together towards efforts to increase investments and focus on these girls and young women. The council further plans to continue to engage strategic partners through advocacy initiatives to support the national response.